((Makeup)) Raspberry Latte – let’s play! To echo the liveliness of spring, it’s time to tune up our creativity. There are too many to choose; so instead of squeezing my fav. eye makeup items into the same blog post as the others, I decided to acknowledge their beauty in a separate post. 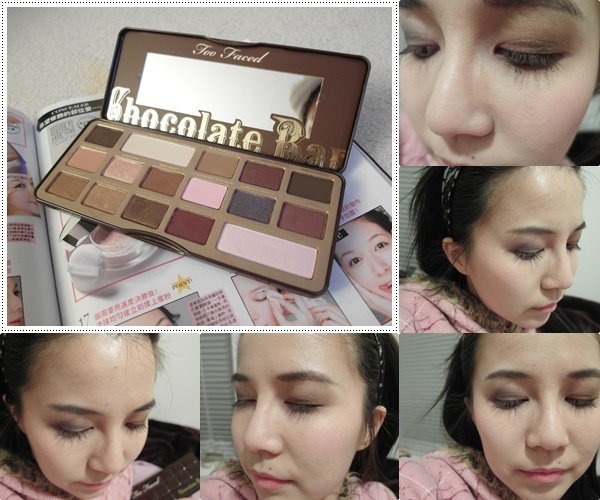 The No.1 of 2015 is Too Faced Chocolate Bar Palette. Christmas is coming close, can you hear the bells jingling? On this special occasion, let’s try something different! 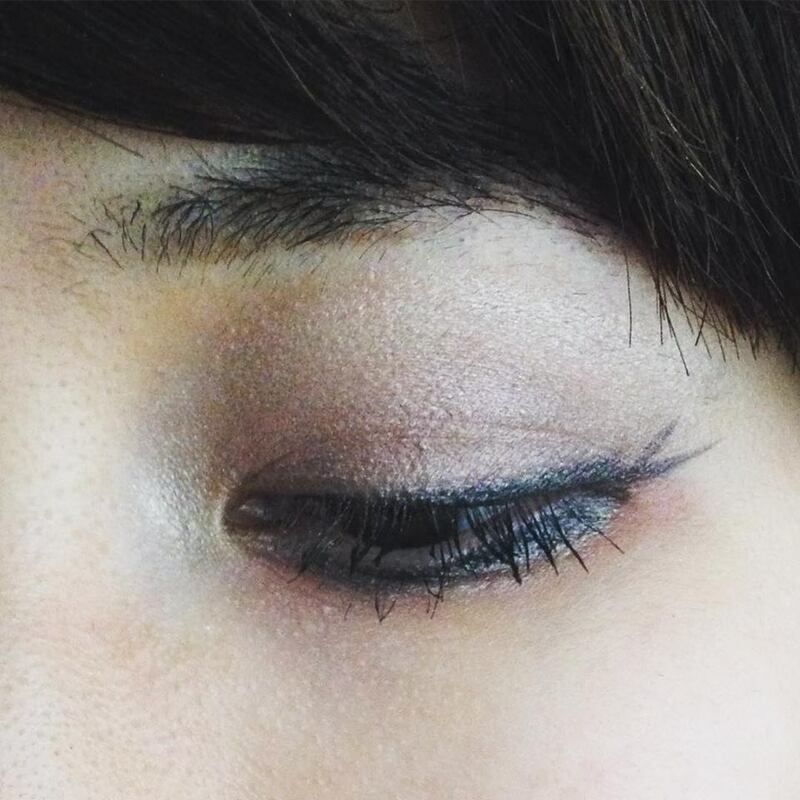 The makeups that I usually wear are earthy, neutral, brown tones. Today, let’s try a CUTE cool purple smokey eye instead! The eye makeup is especially compatible with your black little dress and that pair of hot pumps. Let’s get started!